Thousands of active-duty American troops deployed to our southern border. They strung some razor wire, walked around with rifles on their shoulders. They waited for the “caravan” to arrive. The migrants fleeing repression in Latin America are still en route, supposedly. But the troops are getting ready now to go back to where they are based. What was the point of sending them to the border? It’s clear to a lot of us that the troops were part of “stunt” orchestrated by the commander in chief, Donald J. Trump. The size of the “border security force” outnumbered the forces deployed each in Afghanistan and Iraq. So they’re now getting ready to leave. The “caravan” might get here. It might not arrive. The “horde” comprises families: mothers, fathers, grandmothers, grandfathers and children. These are the folks who pose the existential threat to our national security? Please! It’s also been an expensive stunt, costing billions of dollars we cannot afford to spend. Meanwhile, the fires are burning out of control in California and Donald Trump is yammering about “forest management practices” being the culprit for the tragedy that has ravaged the state. I tend to rely on military men and women — experts on strategy and tactics — to explain certain matters to me. So, when I hear from the likes of a retired Army four-star general who says the president’s deployment of thousands of troops to the southern border is a “political stunt,” I am inclined to accept that view. Gen. Barry McCaffrey, a Vietnam War combat veteran, the former head of the Southern Command and an officer with command experience during the Persian Gulf War, has called Trump’s effort to stop a so-called human “caravan” such a stunt. The president has sent troops to the border that now outnumber the troop levels we have in Iraq and Afghanistan. For what purpose? He says the “caravan” is marching to our southern border full of criminals, “young men” intent on doing harm and “Middle Easterners” who, according to Donald Trump, are international terrorists. McCaffrey, who says he knows Latin America well, disputes the makeup of those who are heading this way. He says they are fleeing countries that are corrupt, crime-ridden, poverty-stricken. They plan to seek asylum. They are refugees from oppression. 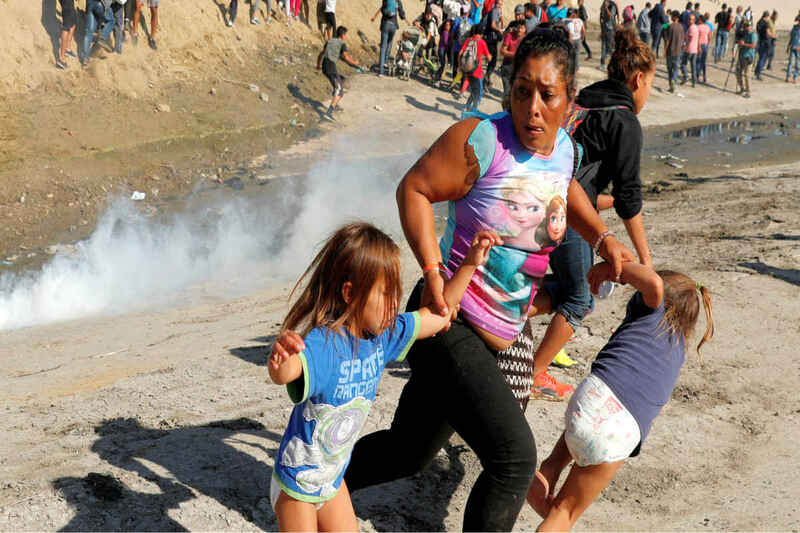 They are not “invaders.” Yet the president calls this an “invasion” of our sovereign territory. By whom? Families seeking refuge from lives of misery. The caravan became a key campaign issue prior to the midterm election. The president sought to frighten enough Americans to keep Congress in the hands of Republicans. He said Democrats favor “open borders,” are soft on crime; he added that Republicans plan to enforce border security and crack down on criminal seeking to bust into the country illegally. The election is over and — wouldn’t you know it? — the “caravan” rhetoric has been tamped down. Imagine that. However, it’s still out there. Donald Trump has called in the military. He intends to order the “patriots” patrolling the border to stop the invasion. Ridiculous. It’s all a stunt, man! It has turned out that he doesn’t. Nor does he know more about that so-called “caravan” of tough guys, criminals and “Middle Easterners” heading toward our southern border than the generals. Trump has tried to inject fear and panic among Americans in advance of next Tuesday’s midterm election. He has called that “caravan” an invasion force intent on breaching our southern border. So he’s dispatched as many as 15,000 troops to the border to take charge of matters, to secure it against the invading hordes. The U.S. Army, though, assesses it a bit differently. It said the refugees fleeing northward remain a good distance away and projects that only a small percentage of the “caravan” will reach our border. 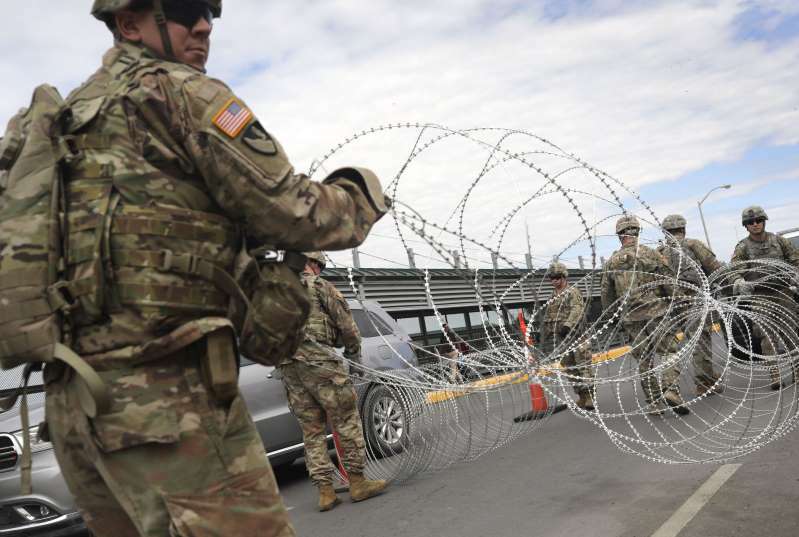 The Army assessment presumes that there will be about five U.S. troops for every refugee who manages to make it to the U.S.-Mexico border. The Washington Post says it cannot verify the Army assessment independently, but reports that military officials the newspaper contacted are vouching for its veracity. Trump peddles fear like few other modern-day politicians. I’ll concede that he’s pretty good at it. He has that base of supporters who continue to believe the lies that fly out of the president’s mouth. That’s all that matters to him. He talks to them only. The rest of us? Forget about it! As the Post reports: Seizing on immigration as his main campaign theme ahead of Tuesday’s midterm elections, Trump has depicted the caravans — at least four have formed, though they remain hundreds of miles away — as a grave danger to U.S. national security, claiming they are composed of “unknown Middle Easterners,” hardened criminals and “very tough fighters.” He also insists the number of migrants heading north is much larger than estimates put forward by U.S. and Mexican government officials. And we are to believe the opinion of a man — the president — who admits he doesn’t read briefing papers or doesn’t feel the need to absorb national security briefings?